Welcome to Ansley Parish Council website. The Parish Council is grateful to the WALC quality status promotion fund who gave us 100% of the cost to set this up. 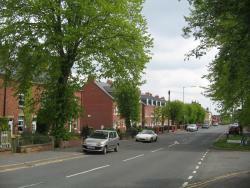 The Parish has approximately 1000 homes and over 3000 residents. It is split into four quite different areas which are the villages of Ansley Common and Ansley , the hamlet of Birchley Heath, and Church End and surrounding outlying areas. The word “Ley” in Ansley and Birchley means clearing in a forest, which stems from our history as part of the Forest of Arden. A lot of our history revolves around the mining and farming industries, but there are also references to ribbon making and brick making industries in the past. Here you can see a view of the main street which shows some of the old miners cottages in the foreground and the new houses which have been sympathetically built to blend in with the old ones. In Ansley Common there is a church hall, a school, a community hall in the old peoples complex, a recreation ground, allotments and a couple of shops. 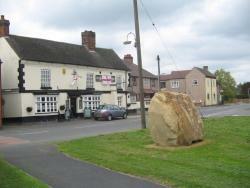 This is the view from the village green, which shows one of the two pubs in the village, and also the sculpture from the Heritage trail (more details of this can be found in the “Our Village “ section) Apart from the two pubs, Ansley Village has a social club, a church hall, a shop, a hairdressers, a recreation ground and allotments. 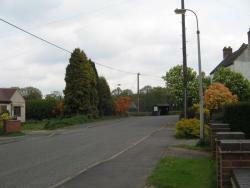 Birchley Heath is by far the smallest of the three and this view is looking down the main road towards the park. The park is leased by the Parish Council for a peppercorn rent but we have recently updated the play equipment and are very pleased with the result. There are no other facilities, although there is a shop and a Pub ( and a brewery!) in nearby Ridge Lane which is within walking distance. Church End is fairly self explanatory. 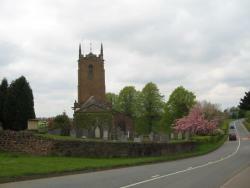 It is a lovely backwater with far reaching countryside views, centered around the church. There are no facilities here apart form the Church and Annex, but we do have a War Memorial located on the crossroads with the main Birmingham Road which has stood since 1920.